At Specialized Electronic Services, we sell and repair Robicon drives. We are experts in Robicon Drive repair. We can sell, service, and repair the entire Robicon drives product line. 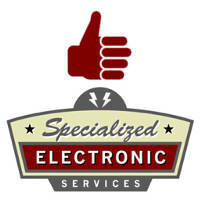 Specialized Electronics has extensive experience in retrofitting out old obsolete Robicon systems and drives. Many of our customers have come to rely on us for maintaining their obsolete units as well when the cost of replacement is too prohibitive. We have extensive design and start-up experience with all Robicon drives products. As many people are aware Robicon was bought out and if you are having problems with service or parts on Robicon drives call us today and we can retrofit out your old unit with a current AC drive today. Below is a partial list of the Robicon drives we have worked on. Be sure to contact us for any application, sales or service questions you may have about, Robicon drives, Robicon, ASI Robicon, Siemens Robicon. We have Robicon AC drive sales often so call us to compare pricing if you feel you have been paying too much. Call and ask for sales at 1-800-681-7374.